Nice Resume? Make a Weld! Yesterday marked a first for me in my eleven years of working in the ASME world; a welder who stated he could pass a 6G weld test on 2” Schedule 80 carbon steel pipe using the GMAW welding process actually showed me he could do it. It’s amazing to me how many welders come into our shop boasting about their accomplishments and certifications only to completely discredit themselves when it comes time to perform an actual weld. A couple of years ago I had a welder come in and apply for work that had every welding process and material I could ever imagine welding at our facility listed on his resume. His resume looked fantastic! He even had lead man experience and design experience listed on the resume. When I was reading through his certifications and came across ASME 6G MIG certified I was ecstatic! So I asked the question, “Can you pass a 6G MIG test today”? “Of course I can” he boasted. 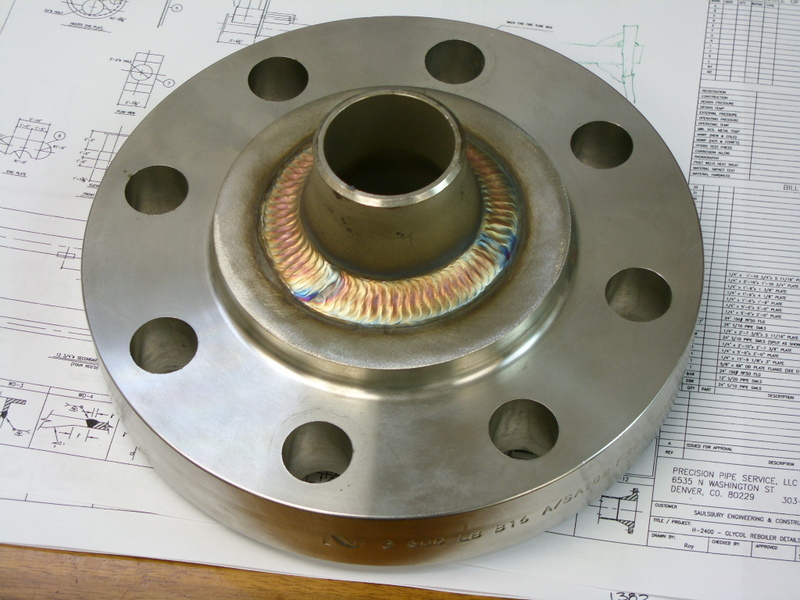 6G is a one test fits all approach to qualifying welders. If a welder can pass the 6G test he or she is qualified to weld in any position (Vertical, Horizontal, Flat, and Overhead). As such it’s a pretty tough test. 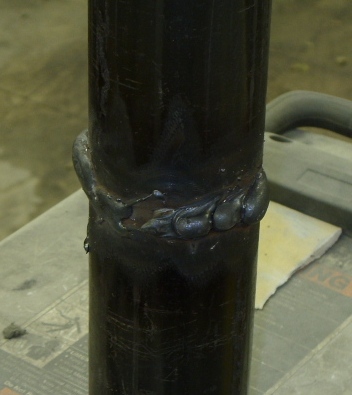 The welder must tack weld two pieces of pipe together then secure the two pieces to a jig that holds the pipe to be welded 45 degrees off the horizontal. The welder cannot move the pipe once the welder has started. When in this position the welder is forced to weld vertically, flat, and overhead on the same piece of pipe. Now back to the welder… I set him up in the shop with a welder and some pipe and said “GO”! I went back to my office to let the man work in peace. Twenty minutes later he came through the office with all his tools extremely frustrated and simply said he was leaving. Shocked I went out to see what happened. I found his weld test stuffed way under the table he was working on. It looked HORRIBLE! It had to be (and still is) the worst coupon I had ever seen. Unbelievable! I chocked it up to the fact that no matter what the paper says the caliber of a welder can only be known through testing. The saying you get what you pay for certainly applies to welding. We at Precision Pipe & Vessel have had some extremely high end welding and if we let people who THINK they can weld anything without testing them in the door we will be closing the doors permanently all too soon. In today’s market place we have found that diversity is what works for keeping our doors open and our employees enjoy having a variety of work including the high end stainless steel and other alloy work come in the door. May I suggest if you are a buyer or a purchaser in today’s market that before you go with the least expensive bid you ask for a weld sample along with welder qualifications before you issue the purchase order. Sometimes the “you get what you pay for” can end up costing so much more then expected the cheapest manufacturer is not worth it.